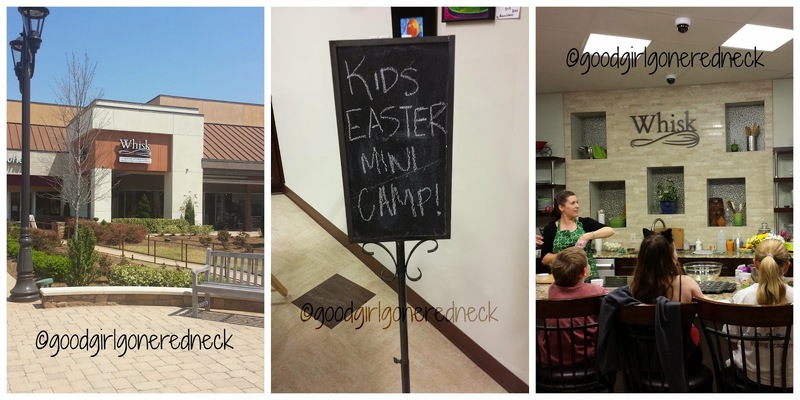 About a week or so before Easter my daughter and I went over to Whisk to attend a class for kids in which they'd be preparing holiday treats. Initially I thought that I was supposed to stay with her for the session and work with her. But when I arrived I learned that this was a totally parent-free class. Score! This particular class was more like a workshop and included arts and crafts activities for the attendees along with the food prep. Whisk referred to the class as their first mini-camp, which ran longer than their usual two hour kids' classes do. Whisk has a variety of classes on their calendar for this spring and summer. They have parent-child combination classes, along with adults-only classes, including some on Friday evenings that are geared towards those in search of a date night or girls' night out. Their schedule includes demonstration classes for those who prefer to learn visually, or perhaps find cooking entertaining and would rather watch. Then there are the hands-on courses where skill development is the primary goal. And lastly are the participation courses where you'll be cooking and prepping along with your instructors. And then, of course, eating! 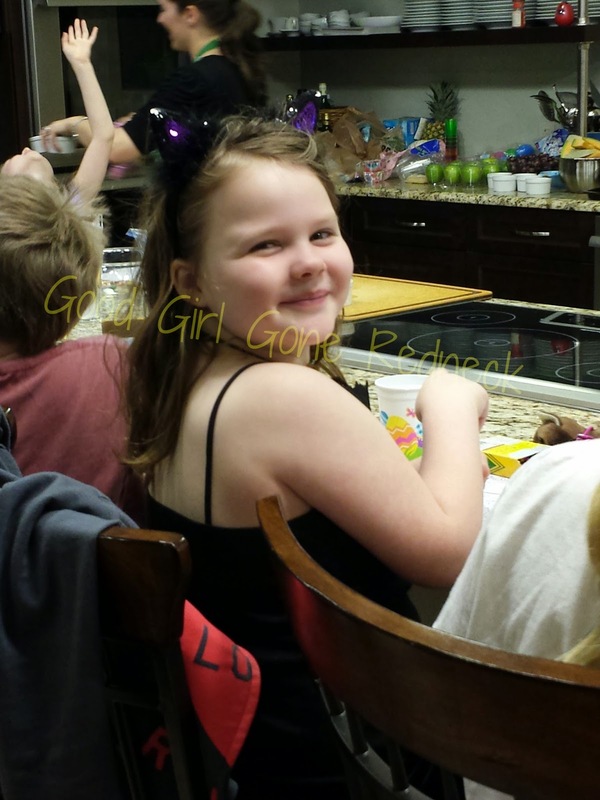 This class was so much fun for my daughter and she absolutely wants to return to Whisk to attend another lesson. It's fun, laid back and non-stressful for the kids. AND the parents. My kiddo came home with a variety of fun treats for the family to share (1. an edible arrangement, 2. purple deviled eggs, 4. bunny cake) and a really cute craft (image 3, a lamb flower pot). The inventory at Whisk is phenomenal. Their products are of the highest quality. 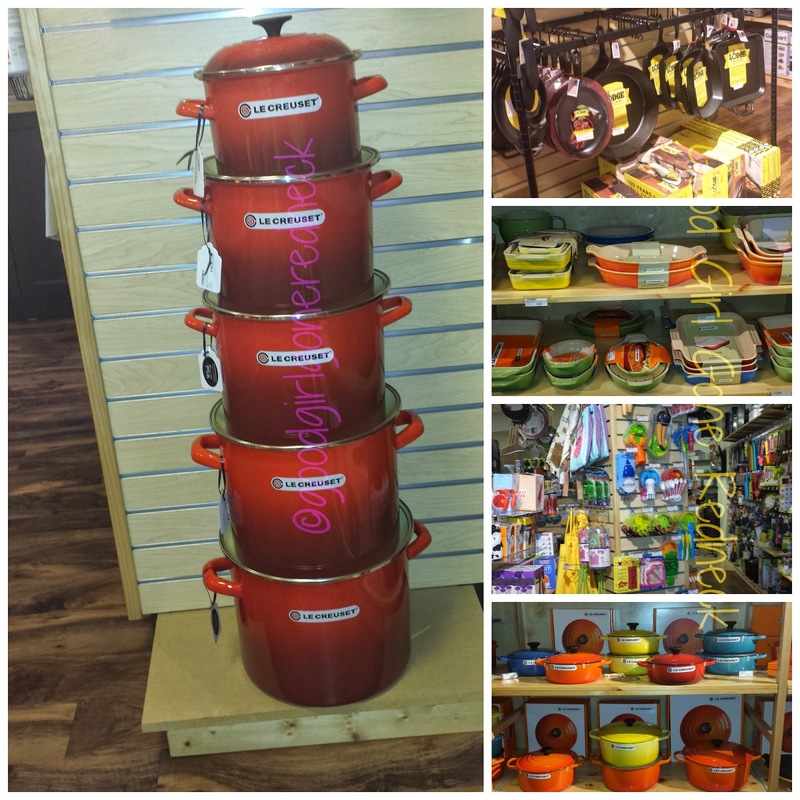 They carry brand names such as LE CREUSET, Lodge, Cuisinart, Kenwood and more. And yet one of the cool things about Whisk is that they're a local shop and Dan and Diana Saklad truly care about your shopping experience. They love cooking and they want you, their potential customer, to love it, too. Dan stood and spoke with me for a while as I waffled back and forth between skillets and eventually had my husband come in to help me decide which to buy. As a cast iron novice I was totally confused. He had loads of details and information to share, and so did his on-the-money staff. Overall our experience at Whisk was a fantastic one. I would definitely recommend a kids' cooking class to anyone whose child is interested in fun food prep and I'm hoping to get there to take one for myself one of these days. Also - I liked the store so much my husband and daughter popped in and got me a gift card for Mother's Day! Looks like I'll be back and shopping again soon. Hope to run into you there!